The Infant and Toddler Lab School on the campus of California State University provides an exemplary educational facility for young children ages 6 months to 3 years. The laboratory school provides undergraduate and graduate students training in child development and early childhood education. Finally, the third mission focuses on providing service to the community and the CSUSB campus community in the form of child care education and to the early childhood professional community by providing training, educational presentations, membership on advisory boards, etc. 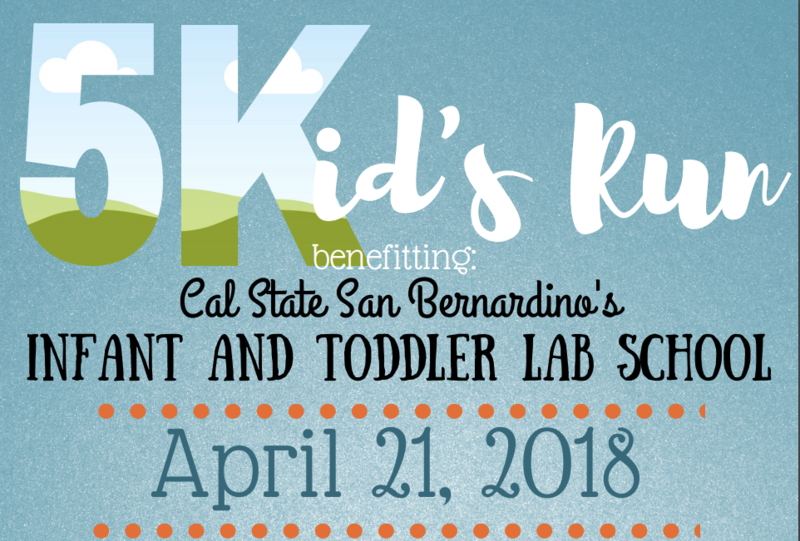 The Infant and Toddler Lab School is hosting this 5Kid's Run in hopes of bringing awareness to the campus community and the community at large about early childhood education and the mission and purpose of our center. This 5K will provide funding to help our student parents continue to recieve high quality childcare for their children.